[T]roubadour Gregory Alan Isakov was born in Johannesburg, South Africa, raised in Philadelphia, and now calls Boulder, Colorado home. He’s a traveling man who creates music that compliments wanderlust and the beauty of the places he has seen on the road. His third album The Weatherman will be released July 9th on Suitcase Town Music, and the first single “Saint Valentine” has just been released for our listening pleasure. The new track is a beautiful representation of Isakov’s romantic narrative and it is the perfect song to introduce yourself to this worldly musician. Another great way to introduce yourself to his work would be to catch him live when he is in our neck of the woods July 20th at Club Passim in Cambridge (Tickets and info). 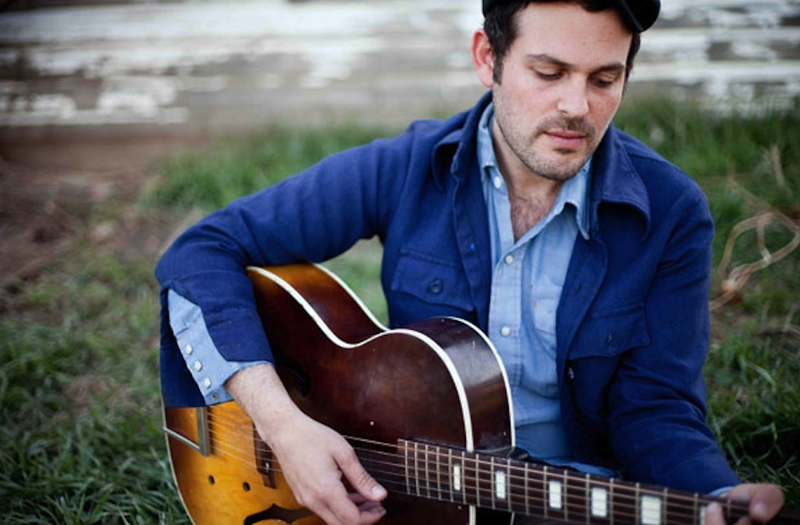 Beautiful new song from Gregory Alan Isakov @GregoryAIsakov check out my @musicsavage post http://t.co/jf3P8nA69m and spread the good word! He’s playing Club Passim in July with the amazing David Ramirez. Going to be a good show! Thanks for the info Lynne. I think I shall add that tidbit to the story! I saw GAI over three years ago open for Brandi Carlile and he’s good. Have you guys checked out David Ramirez? Talented musician from Austin, Tx. Check out his latest, Apologies, if you haven’t heard it yet. Lynne Fremeau liked this on Facebook. Emma Guthrie liked this on Facebook. Sarah Wohl liked this on Facebook. @musicsavage I love isakov! Was obsessed w evelyn 4 a while! (NYC in July!) Must thank you for torches and fort frances! Treetop flyers too? Steve Benoit liked this on Facebook.